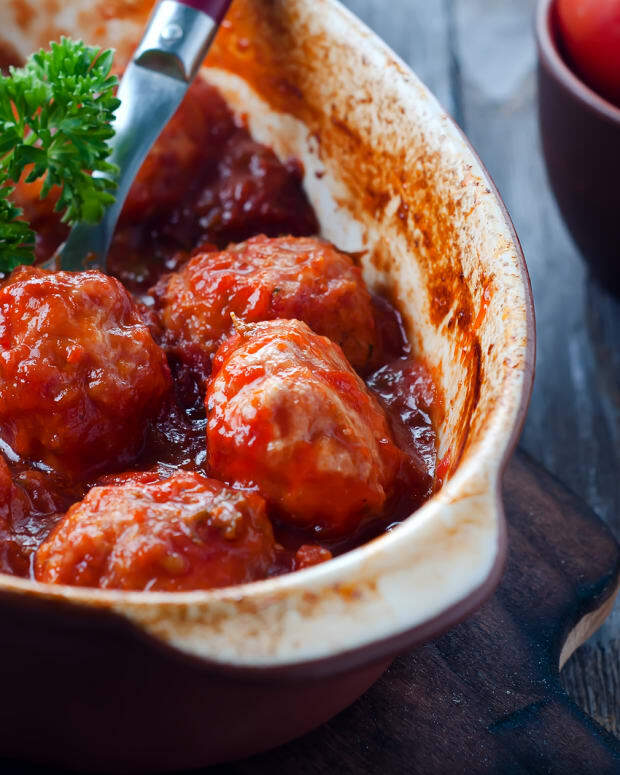 Meatballs just like grandma used to make; seriously! You&apos;ll love &apos;em. This recipe was given to me by my hubby&apos;s Grandma Martha. 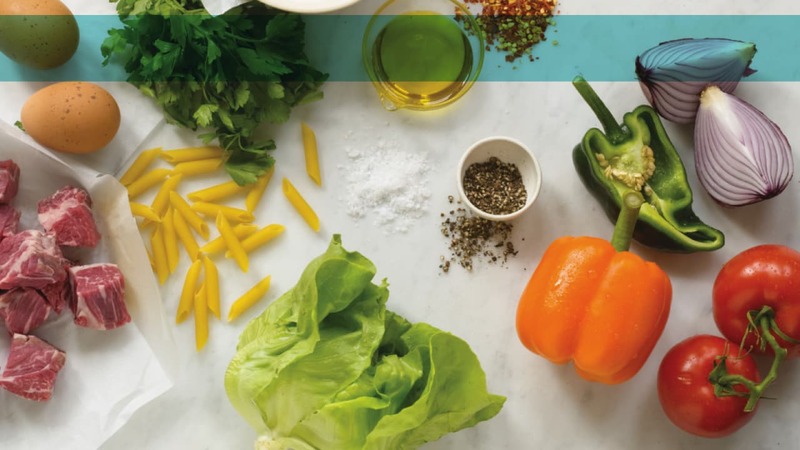 It&apos;s been in her recipe box so long that no one knows its exact origins. All we know is that it&apos;s a surefire success. 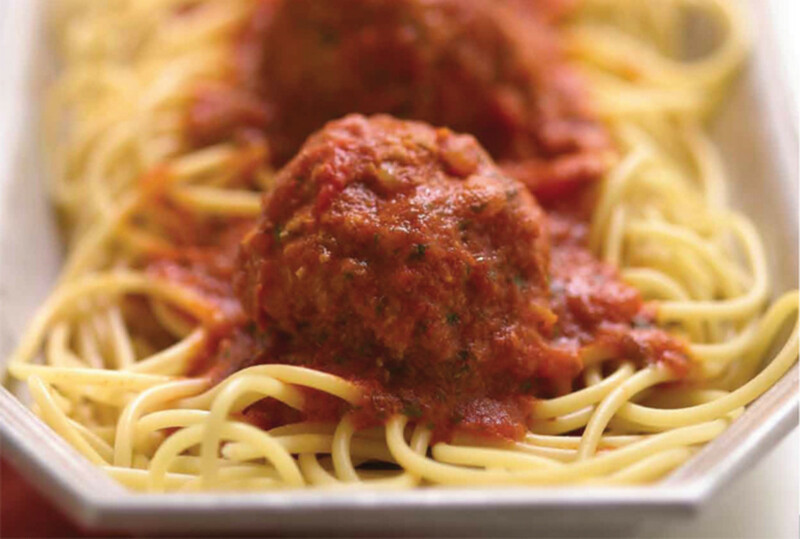 It gives you a light, fluffy meatball every time. 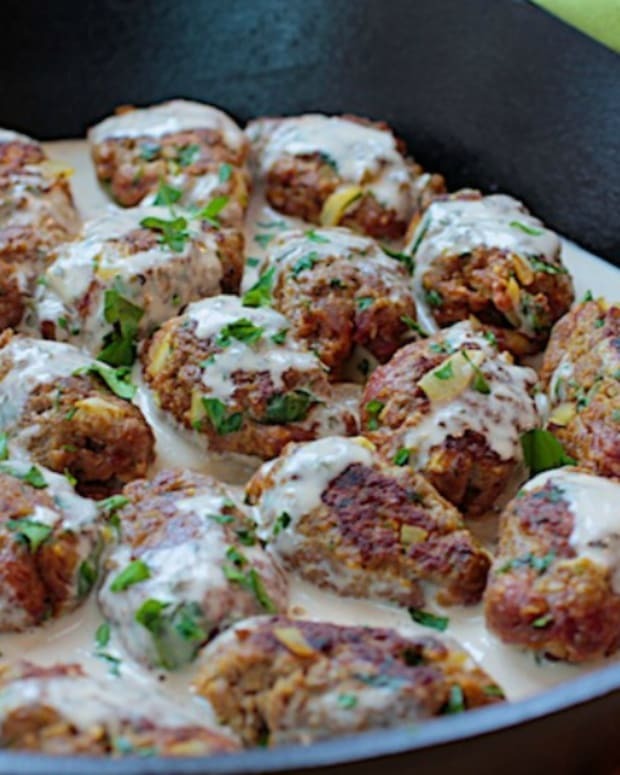 Meatballs are a real crowd pleaser with children. They are also a great complement to Challah Kugel or Potato Kugel Cups, as both go well with a gravy or marinara sauce. 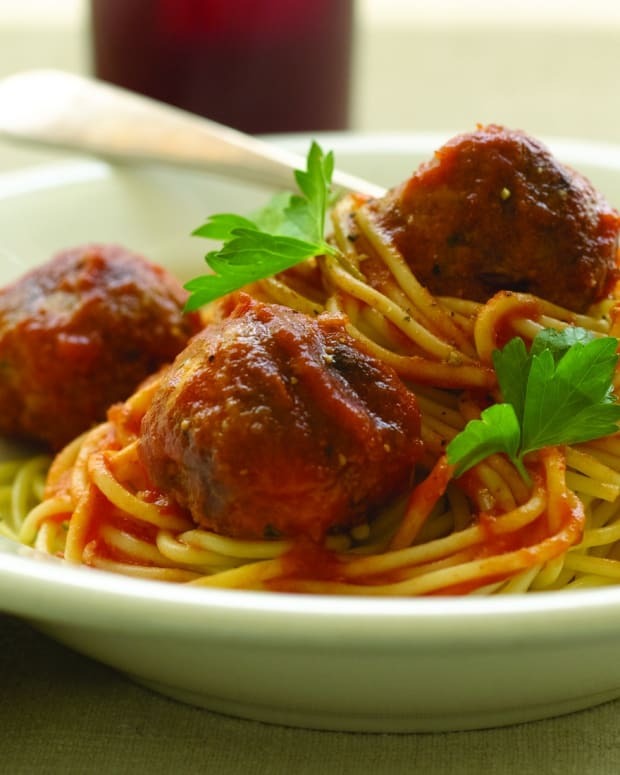 For dinner during the week, just boil up a pot of spaghetti, toss on the meatballs and you&apos;re done. In a large bowl, beat egg for 30 seconds. Add ground beef, 2 tablespoons marinara sauce, seltzer, onion flakes, bread crumbs, garlic powder, and pepper. Using clean hands, mix well but lightly. Pour remaining marinara from first jar into a 6-quart pot. 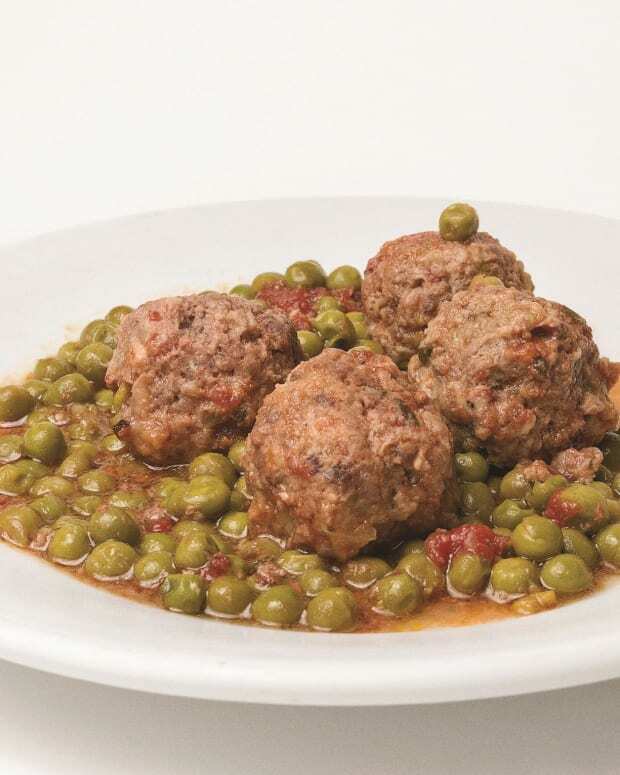 Shape meat mixture into 16 medium-sized meatballs. 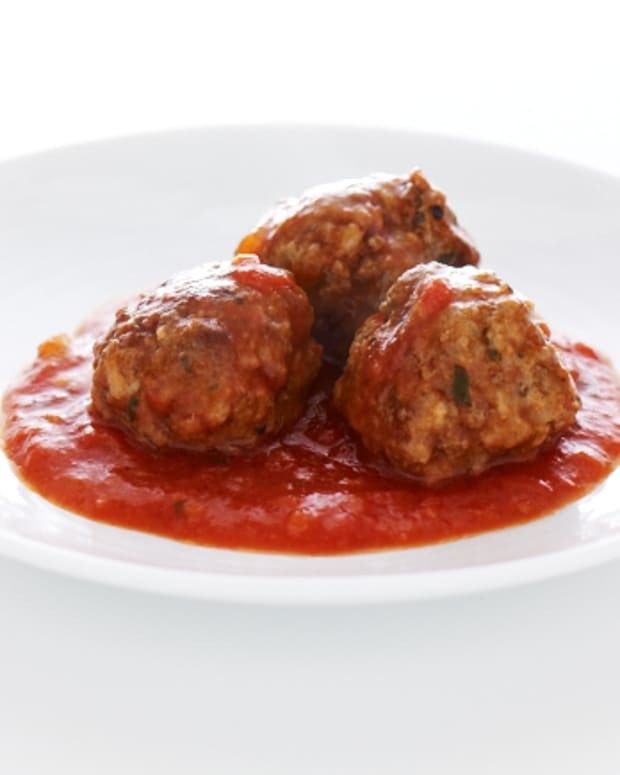 As you are shaping meatballs, place them in the pot with the marinara sauce; make sure meatballs do not touch sides of pot. When you have a layer of meatballs, add another jar of sauce, and begin the next layer of meatballs. Cover with the remaining jar of sauce. Bring to boil, and then reduce heat and simmer, covered, for 1 hour 20 minutes. 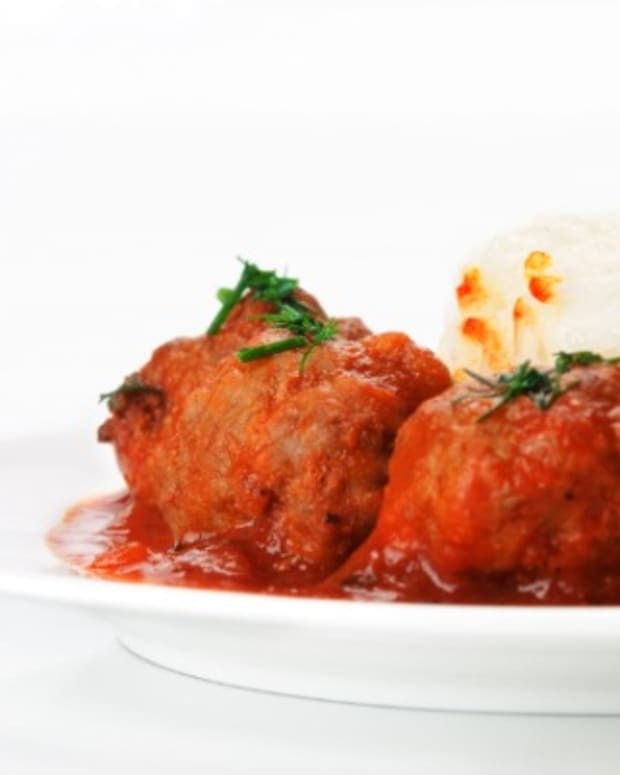 Occasionally stir the meatballs very carefully, so they don't fall apart and don't burn on the bottom layer.